StrikeMaster® Lazer Mag Power Auger. A lean, mean, hole-burning machine! So powerful, you could turn the whole lake into slush. Simply start up the EZ-ignition 42 cc Solo® 2.5HP motor, and let the twin serrated stainless steel blades race smoothly to the bottom of your hole. 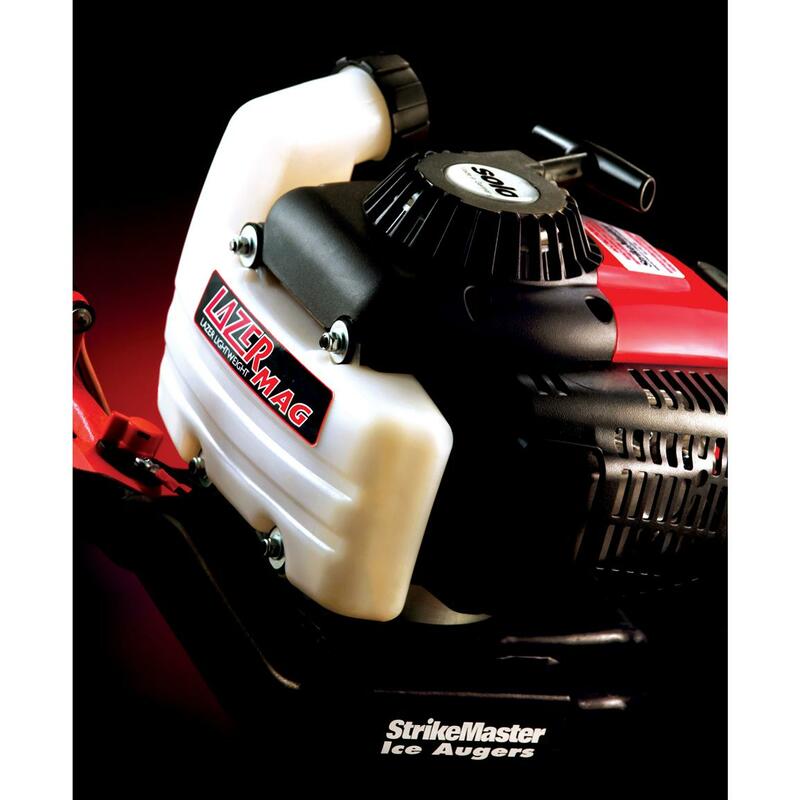 Lightning-fast, reliable, powerful the shortest distance between you and a day of ice fishing is the Lazer Mag from StrikeMaster®! Now available in 8" and 10" sizes. State Model, as available in the Shopping Cart. Order your brand-spankin' new Power Auger today! Easily handle opening holes in the ice. They cut like a hot knife through butter!